I dream of Paris! I’ve being reading and watching so many beautiful places in Paris that makes me dream of going there someday. So, don’t judge me okay, a girl has to what she has to do. That’s to DREAM! Putting my daydream aside, I found this nice set of NYX Wanderlust En Vie De Voyage collection at Marshalls not too long ago. I was there to get some home decor stuff for my living room but instead when I saw this palette, I knew I had to get it! It’s something about Paris that attracted me to it. I checked on NYX’s website and it seems that from this line, there are seven other exciting colors and destinations to choose from. Available sets are in Copenhagen, Los Angeles, Paris, Madrid, London, Dubai and Vancouver. Roam around the world and capture the flair of your favorite city! Long story short, I’ve the opportunity to test them out a couple of times over the past few days before I pen down in writing my thoughts about this palette. The packaging is sturdy and nice. The size is like a small tablet which makes it convenient to bring for travelling. I love that it comes with a good size mirror and a lip cream. That’s genius! This set houses 4 matte shades and 4 shimmer shadows which is really nice and it ends there. I noticed the matte shades are a little dry and more difficult to blend while the shimmers are more creamy and easier to work on. Don’t get me wrong, I really like the color selection but the pigmentation is just not there for many. I think they’re really pretty! And they’re great colors for your no makeup makeup day. I didn’t find the pigmentation of these shadows to wow me at all. The mattes are pretty dry and powdery which is the downside. It’s not the greatest I’ve tried from this brand. I expect for more punch on the pigmentation and color payoff in this palette but it just didn’t deliver. To be honest, I was a little disappointed. What actually throws me off was the formula. The matte shadows are really dry and not as pigmented as I’d love it to be. Among the four color swatches here, the brown is the better one if I’ve to do a transition color while the other three just didn’t cut it. I don’t know if I got an old stock but I like to know in the comment below if any of you has better luck and results with this palette. You can see from this swatches that the 2nd row shadows are somewhat better compared to the first one. I can say that my favorite is the copper and mid-brown shadows. They blend quite well and I got to admit that I do like the nice pigmentation of theses two shades. Let’s move on to what I really love. Let’s just say the star of the show though is the Soft Matte Lip Cream. I love love it! It’s matte and it’s soft on the lips which I really appreciate. I also notice that it feels lightweight and as if I’m not having anything on my lips at all. Did I mentioned that it glides like a dream too. I’m not going to put it away anytime soon. It’s such a pretty color for spring! I really like this doe foot applicator. I only need just on dab to get the products for my lips. The texture is creamy, feels really feather light and so comfortable on the lips. This lip cream has a good lasting power. Amazing pigmentation that’s smooth and free of smudging. It’s a beautiful pink color for spring or any pinkalicious fans out there! I can’t complain too much since I’ve only paid CAN$6.99 for this and yes that’s a hack of a great price. You’re getting ten shadows and I know that the soft matte lip cream alone is US$7.00 so you do the math. I do like the lip cream a lot but not the formula of these eyeshadows and if that’s not a big deal to you then you’ll like this. But for me, I wouldn’t purchase another Wanderlust set even though I’m happy I got that beautiful lip cream. I can only talk about this set since I haven’t tried the rest from this collection, so I’d love to hear your comment if you’ve tried them and which set works best for you. Let me know if I should return this set in the comment below. Thanks so much for stopping by and hear me rant. Hopefully, my next post will be of a more positive note and in the meantime, don’t forget to check out my previous blog post. Until next time, have a wonderful day! Previous postWhat I Got For Mother’s Day! What a great looking palette, I have to admit I’ve not tried much from NYX but I think I should really look into changing that as it seems like they have some great items. This would be perfect for traveling. I like that it has many colors that I would wear. I love NYX products! Such a great all in one kit! Those shades are definitely what I gravitate towards especially for traveling! I love NYX! Such a great brand and it’s so affordable! Loving the lip cream, totally my kind of color! 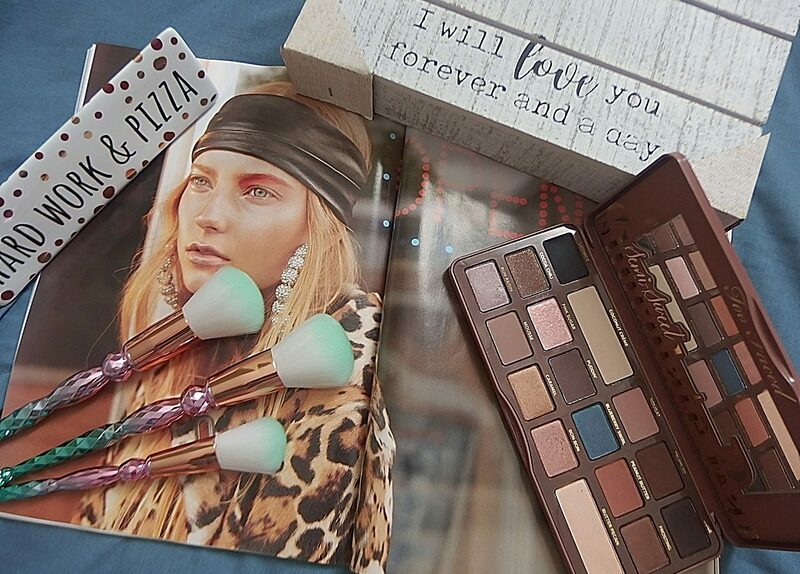 the whole palette is amazing! I like those eye shadow shades. And that lip gloss looks gorgeous. I love pink lip shades so much. This is such a nice palette! I love all of the colors. I love this color palette. So many colors that I wear regularly. And that gloss shade is amazing! I love that Soft Matte Lip Cream! It looks so rich and I love that color! I love the shimmer shadows, especially the whitish one. So pretty for a evening out. What a wonderful palette that’s perfect for the city of love! I think it’s really awesome that they have a special set dedicated to one of the most beautiful cities in the world! Love the colors! I haven’t tried a lot of NYX products, but for the price this palette doesn’t look to bad! I agree that the second row seems to be richer than the first row. I also love the color of the lip gloss!